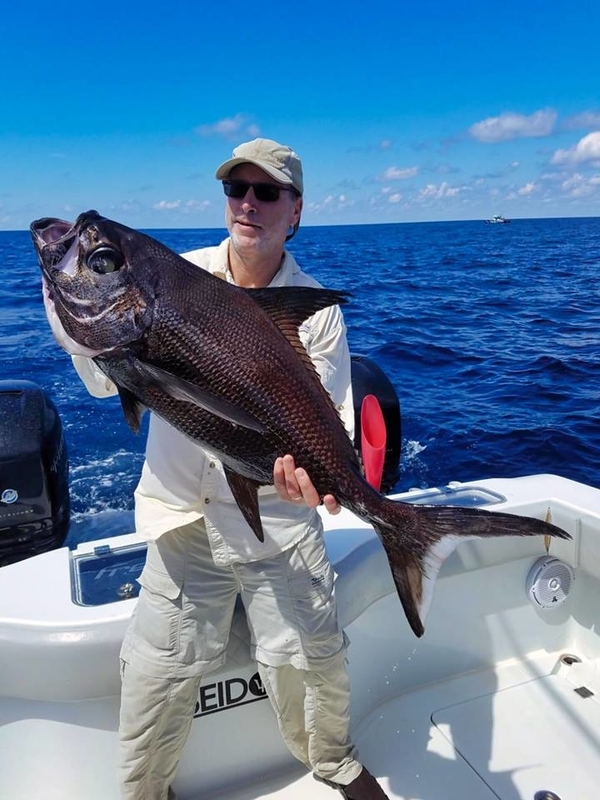 From the week with Captain Jordan Ellis fishing on his 37ft Freeman, the f/v Kimmi. 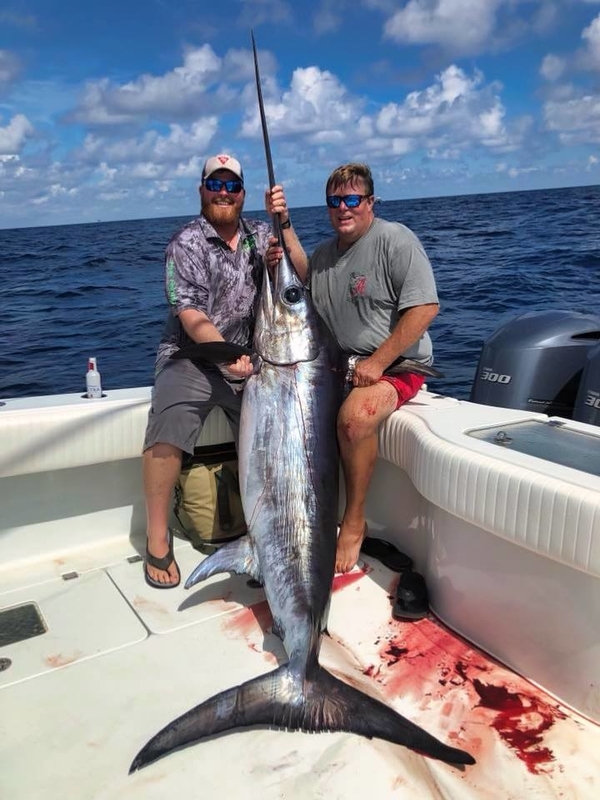 Says Jordan, "not the numbers we're used to this time of year, but quality fish — some good tuna, and plenty of nice sized swords." 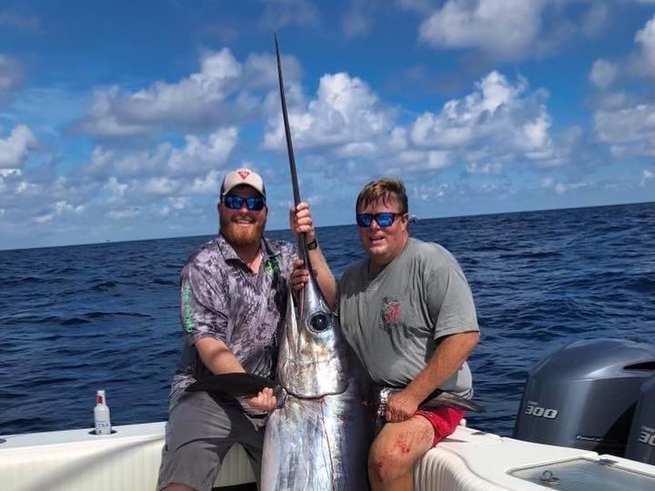 William Shawn McKee sent in a few photos from his recent trip with Captain Colin Byrd — first one up is another smiling customer. 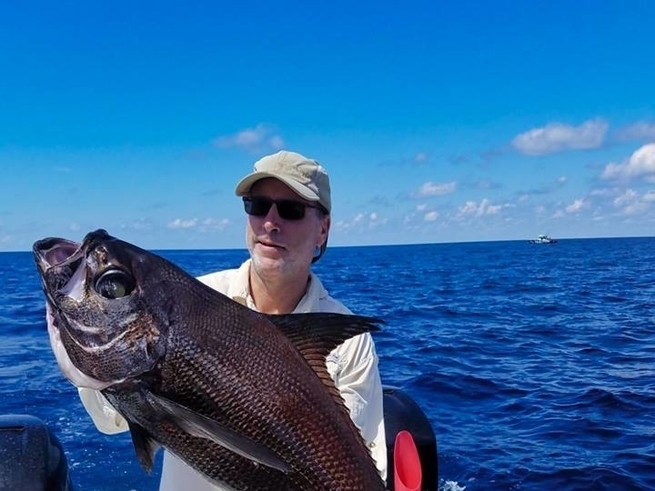 Fishing on Colin's 42ft Freeman — the f/v Shift Change. Powered by Mercury Racing outboards, four 400s. 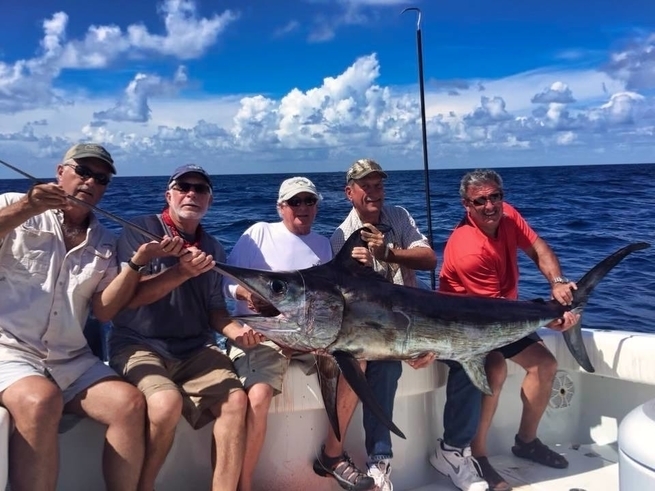 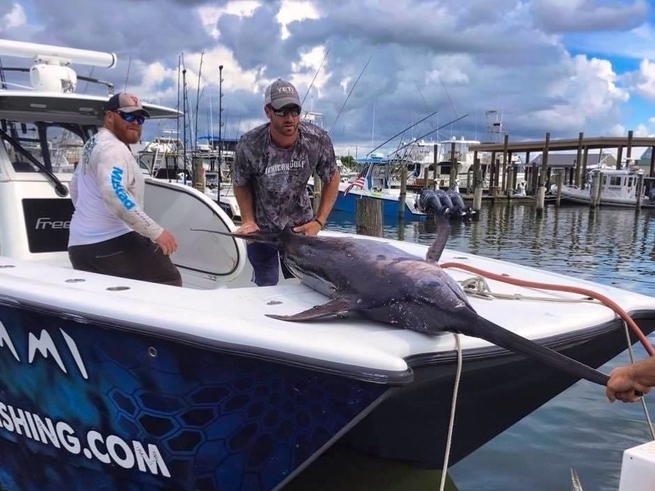 William Shawn Mckee and friends landed this nice swordfish while fishing recently with Captain Colin Byrd on his 42ft Freeman. 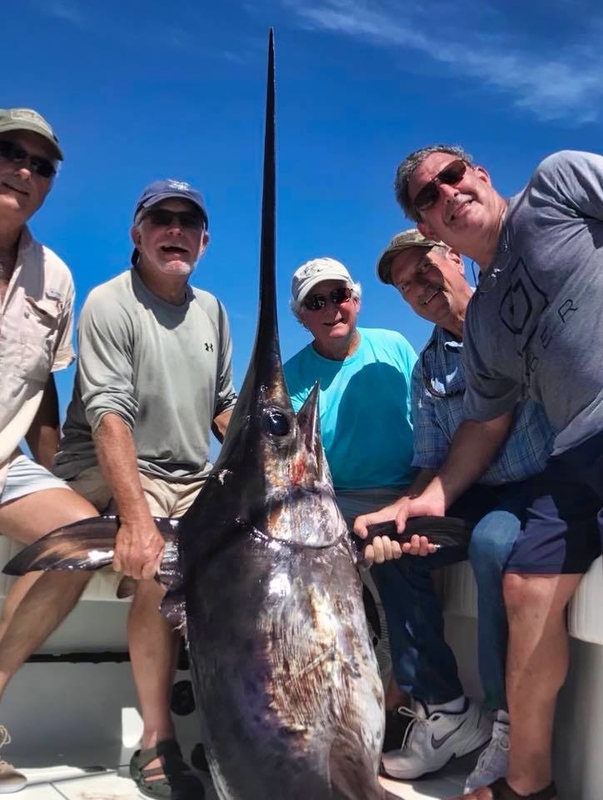 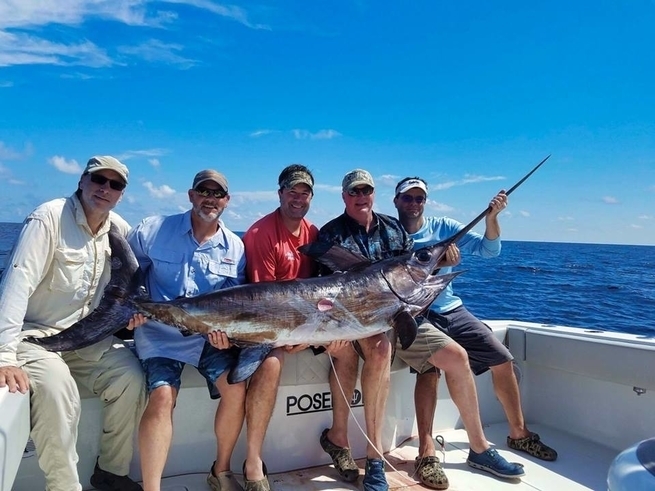 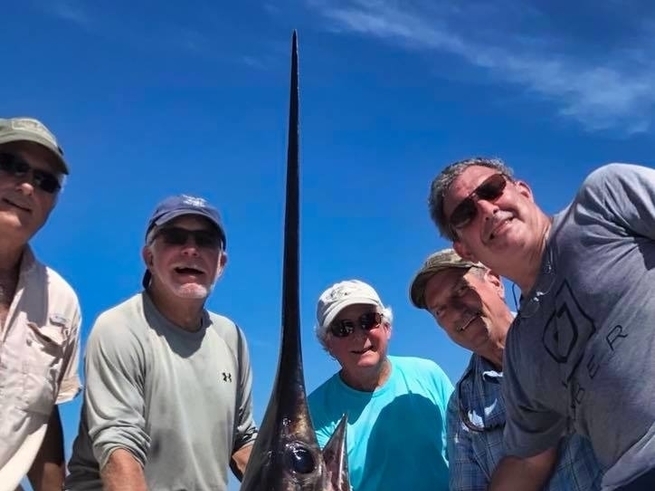 Another sword hauled in while fishing with Captain Colin Byrd … day-after-day, after day this past week … swordfish have been our steady. 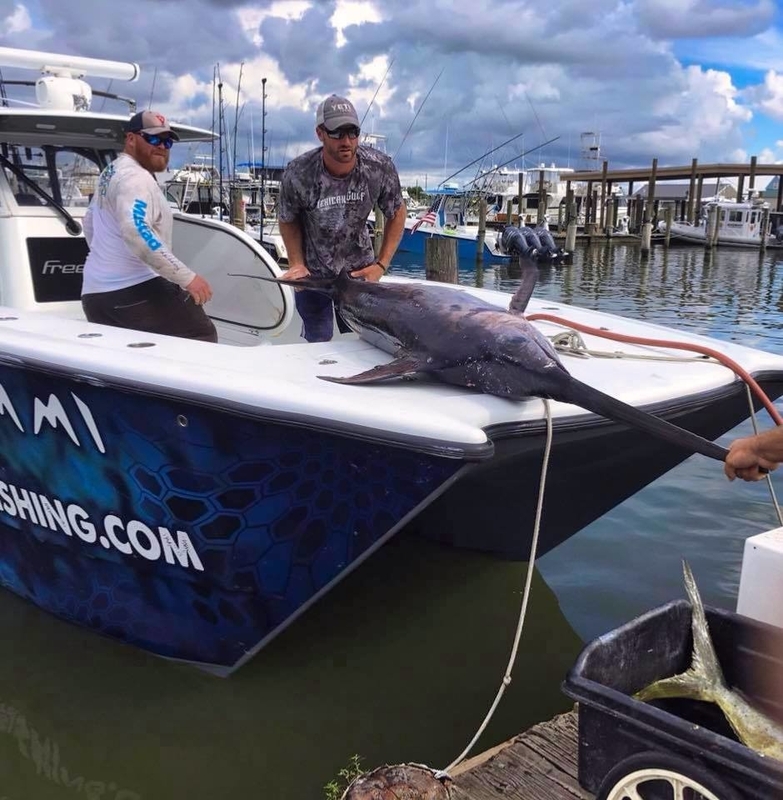 Fishing on board a 42ft Freeman. Offshore with MGFC.